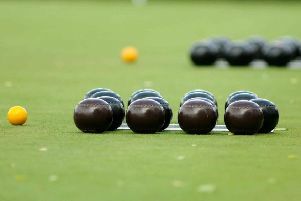 Some games have taken on added significance as the summer season at Louth Indoor Bowls Club heads into its final third. Morning Triples leaders Kestrels produced an important 21-7 win over second-placed Dreamers, while Matelots sailed back into contention with a simple 24-10 victory against Wishfuls who were a player short. Mudlarks also slipped up when beaten 24-4 by Puffins, for whom Richard Tyrell, and Pete and Wendy Neve played well. Kestrels also won their second game to open up an 11-point advantage, but were given a tough game by a Two Plus One trio of Heather and John Masters with Barry Toyn before scraping home 13-12. Matelots notched a second victory when beating Wasps 14-9 to move into second spot on shots difference from Dreamers. Otters are two points further back in fourth after beating In A Minute 17-9. * Australian Pairs Group A leaders Tony Powell and Liz Draper suffered a 15-7 defeat against third-placed George Foster and Terry Cornwall and now top the table only by a slender shots difference from Pete and Gill Fletcher who didn’t play. Fourth-placed pair Martin and Linda Oldfield are also just two points off the lead after hanging on to beat Dave Wise and Wendy Porter 15-14. In Group B, Malcolm Pearce and Rachael Stanley maintained their nine-point lead with a 22-11 win over Pete and Wendy Neve, but only thanks to scoring a five on one end late on. Ray and Sue Green kept second spot on shots difference with a 16-7 win over Pat Morley and Ros Toyn, while Fred and Jean Bradley beat Chas Dewar and Yvonne Cooper 14-9. Fourth-placed Richard Tyrell and Derek Tomlin are only a point further back after beating Mick Winn and Peter Hodgson 17-9, but have two games in hand. * Tina Reeson and Barrie Robinson moved a point clear in the Evening Pairs with two victories, beating Barry Toyn and Derek Tomlin 21-12, and winning 20-10 against Mike Leverton and Vic Matthews. Their cause was helped when second-placed duo Gary Boswell and Gill Gletcher lost 15-13 to Barrie Scott and Ryan O’Connor who also beat Tony Powell and Wendy Neve 15-10.